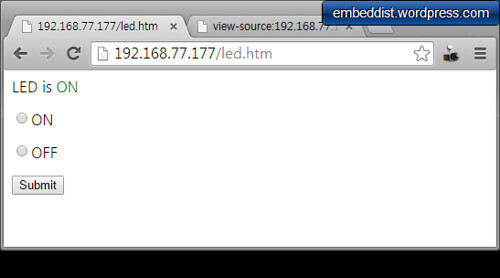 Note8 – WebServer controlled LED DEMO. 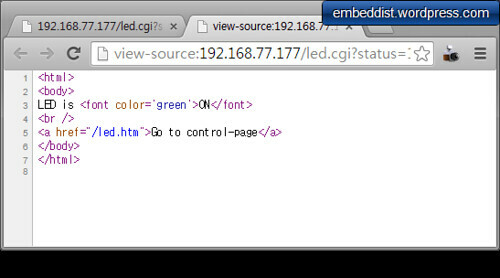 index.htm page : LED Status와 Form을 확인 할 수 있다. 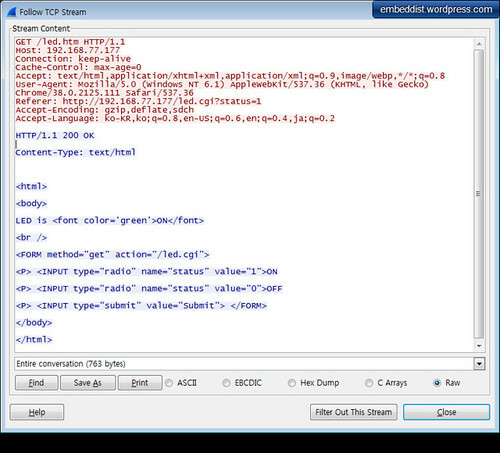 index.htm의 Source(HTML)보기: Web-server에서 Generate된 HTML를 확인 할 수 있다. LED ON submit Web-page: LED Status와 “led.cgi/status=1″를 확인 할 수 있다. 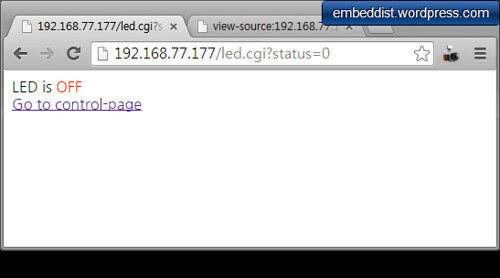 LED OFF submit Web-page: LED Status와 “led.cgi/status=1″를 확인 할 수 있다. 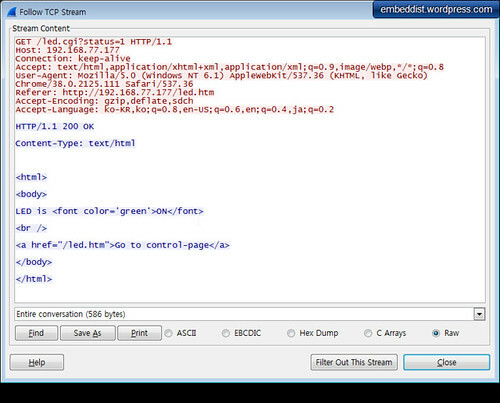 쉽게 말해 Packet Capture Program! 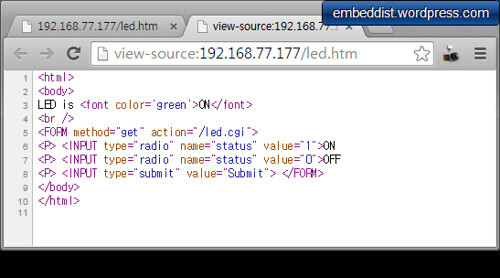 This entry was posted in ArduinoNote and tagged CGI, ioShield-A, WebServer, WebServer controlled LED DEMO. Bookmark the permalink.